Hello again Look at this I guess I just have to much to say tonight! So I wanted to write to all of you girls out there who see them selfs as over weight. Recently at my school I have been helping a freshman who has a history of an eating disorder. She is doing better and recovering nicely thank goodness but the struggle i see her make multiple times a day just to finish her plate of food makes cringe. I She is a happy girl who always smiles and is only kind and caring to everyone she meets but when lunch time comes around she seems to be totally different. Her life becomes a struggle and she fights to do what she needs to survive. Eating lunch is come thing that many people don’t think of as a struggle but if you are one of those people please seek help it important I would hate for anything to happen to any of you! Believe me when I say that starving your self in never worth it there are other and saver ways to do this. 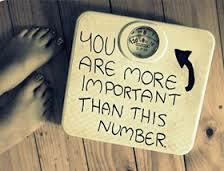 You are all beautiful no matter your size! !